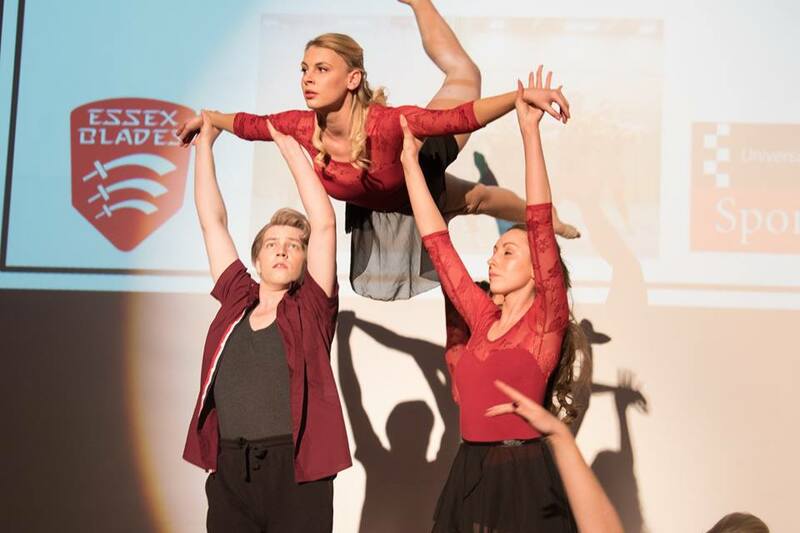 Our Project - what we want to achieve! We're raising £900 to buy at least one new mat for our training. They are set to be replaced every 3 years and we have had ours for 4 years now, so they are looking a little bit worse for wear! This also makes our training less safe as the mats are beginning to split underneath. So really, our fundraising project is more of an investment for our teams as well as future teams! 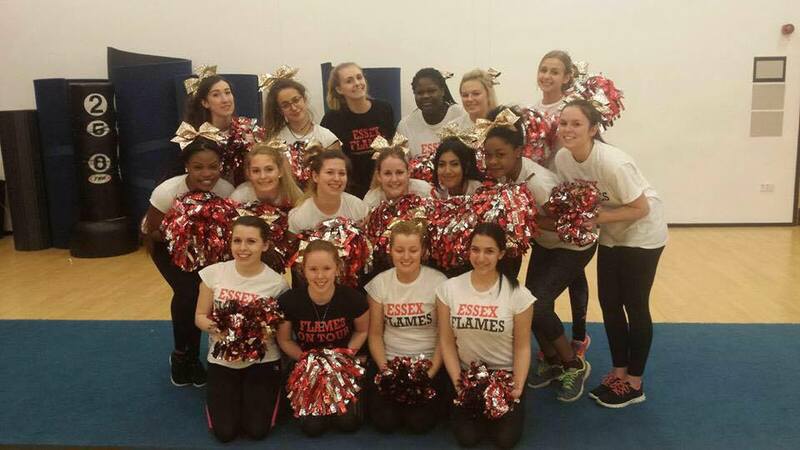 My name is Lucy Ventham and I am the Fundraising Officer for the Essex Flames. Therefore, I am in charge of making sure that the Flames have the necessary funding that they need in order to remain a Gold Standard team and National Champions at competitions. 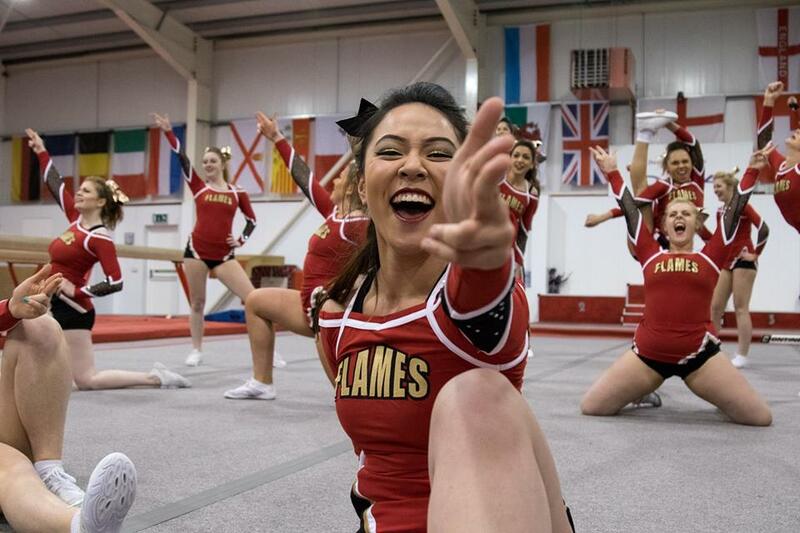 We are made up of 6 different teams - Level 1 Blaze, Level 2 (Co-Ed) Inferno, Jazz, Pom, Game Day Ignite and Just Play. We brought home 1st, 2nd and 3rd place across Level 1 and 2 Cheer and Jazz and Pom dance at ICC last year! The Essex Flames were established in 2012. Since then, our teams have continued to grow! 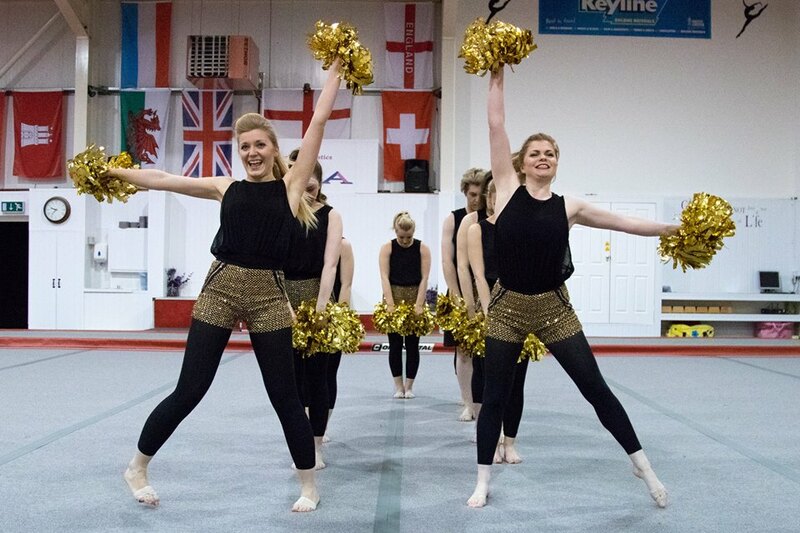 There are currently approximately 25 students on each competition team, 15 in each dance team, Game Day and Just Play. Our teams each train once a week in the University Sports Centre and this is where we use our training mats. They are large room length mats with the necessary safety padding to keep us safe whilst performing our stunts and jumps. Buying new training mats is really important to us because they are necessary for our safety in training. As our club continues to grow, the mats are being used more and more and therefore are now in desperate need of replacing. As they remain in good condition for about 3 years at a time, the money raised will be more of an investment for everyone is and will be a member of the Essex Flames. The cost of just one of our large training mats is £900, and we are aiming to buy 1 new mat this year. Therefore, if we reach our full funding target we will be able to buy a new mat to be used immediately in training. If we are fortunate enough to receive extra funds, this money would go towards buying some new poms, as these too will soon need to be replaced. We aim to give updates as and when we recognise that we have received a donation in order to thank everybody and let you all know how our project is doing! For everyone that donates to us, there will be some kind of reward in return! Please see the right hand side of the page to see what various different donations will equate to. 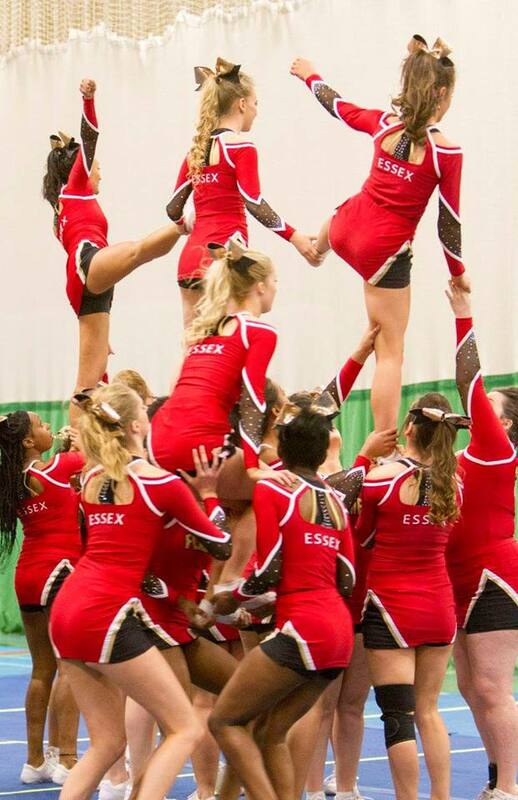 Please browse through our social media pages to keep up to date with all things Essex Flames! You don't need to give money to help us succeed! Please share this project with anyone you think would support us – on Twitter, Facebook, by email, telephone, in a chat over the fence or on your blog. In fact, share it with everyone you know as we think it's a great idea, and the more people who know about it, the more likely we are to make this work out brilliantly. And we know we said you don't need to give money to help us, but we'd love it if you did! Please sponsor us and help make this happen. Thank you! You will receive a shout-out on our Facebook and/or Twitter pages! Thank you! You will receive the above items, plus a club or team photo of your choice! Thank you! You will receive the above items, plus a personalised thank you video! Thank you! You will receive the above items, plus a hand-written thank you card! Thank you! You will receive the above items, plus your very own cheerleading bow! Thank you! You will receive the above items, plus an invitation to one of our socials! Thank you! You will receive the above items, plus an invitation to one of our Just Play sessions!